You have not paid your mortgage for years and you begin to wonder if there might be a statute of limitations for the bank to foreclose. Quickly, you look up the statute of limitation in Washington State and find RCW 4.16.040 which holds that the SOL on a written contract is six years. Six years passes and you are ready to file your Quiet Title action. Unfortunately, that is not how it works. A mortgage is considered to be an installment contract. There are two types of SOL’s that apply. One for the overall contract (usually 30 years for a standard mortgage) and then one for each installment individually (so the monthly payment itself). The six year SOL under RCW 4.16.040 does apply to each installment. but it does not accrue on the overall contract until the contract matures in 30 years or whatever term your mortgage is for. There are two bypasses. 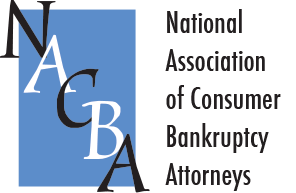 If the note was accelerated or if you filed bankruptcy and severed your liability on the note and more than than six years has passed since either of these events occurred. The bankruptcy scenario is fairly straightforward with the most currently case law, Jarvis v. FNMA, confirming that if the bank does not foreclose within six years of your bankruptcy discharge date, you can proceed with a quiet title action. Unfortunately, it is becoming equally clear that acceleration is seen as an impossible path to quiet title. Starting with Bank of New York Mellon v. Stafne, Washington courts are finding that acceleration rarely occurs. In the Stafne case, a letter of acceleration from Country Wide that threatened that if an amount was not paid within 30 days then Country Wide would accelerate the note and foreclose. The Court found this to be merely the threat of a future action, supported by the fact they never actually foreclosed. So rather than a self executing document, the Court found it to be essentially puffery. While there could be FDCPA liability for threatening something you had no intent to go through with (though probably not post Henson v. Santander), there is not acceleration of the note. This does not mean there are not defenses. Produce the note arguments, pooling and servicing violations, and other theories can be used. If you are going on the bankruptcy path, strike now and strike boldly with your quiet title litigation. If you are going on the acceleration path, tread carefully and have alternate theories and strategies if your property is located in Washington State.